Orthodox literature is filled with references to death and dying. The Holy Fathers again and again stress the importance of the constant remembrance of death. The image of death appears frequently in the prayer of the Church. In the evening prayer of St. John Damascene, we are enjoined to look at our bed as at a coffin, not knowing whether or not we shall rise on the morrow. According to the values of todays society, all this may appear to be a rather morbid and even unhealthy fascination with death. After all, death has been all but eliminated from the American way of life, or rather, it has been so hidden and disguised that it has come to be regarded as an anomaly and not one of lifes natural processes. How does this affect the way people react when they are faced with the reality of death? How can the dying and their close ones be helped towards an acceptance of this reality? Finally, what is the Orthodox perspective of death and dying, and how can we be better prepared to face death ourselves? The following article is based on a lecture given at this years St. Herman Winter Pilgrimage in Redding, California, by Dr. George Kalousek, a physician and an Orthodox Christian, who addressed these and other questions on death and dying. In discussing death, we must first remember that we were created for life. God created man in His image, immortal. Through mans free will, he fell away from God and was banished from Paradise, he became blind, sinful; called to partake of the divine nature, man became subject to death and decay. In His love for mankind, God sent His Only-begotten Son, that through His death on the Cross, the dominion of death would be broken and man would once again have the possibility of eternal life in communion with his Creator. It was impossible to live long with such unresolvable uncertainties. In reaction to this harsh and rather unhealthy fear of death, man fell even further from the Truth, reaching for comfort in rationalizations. Death became romanticized; beauty and death were considered poetic sisters. This view of death was reflected in the changing design of tombstones which no longer depicted skulls or scythes, but were graced by cherubs, vases, willows and butterflies. Even the lessons in McDuffys 4th Eclectic Reader concentrated on themes of death, frequently of children and often characterized by a superficial sweetness. Death came to be thought of as a peaceful and beautiful deliverance. The more man came to rationalize away the fear of death, the more freedom he felt to lead a life of self-indulgence. The 20th century has only seen this fantasy carried to its logical conclusion. When death is present at all, it is carefully camouflaged; embalming is the rule, coffins are called caskets – which are available in many styles; undertakers are called funeral directors; fake grass is carefully arranged around the burial site to cover the earth; funerals are being replaced by memorial services where not even the coffin is present; cremation is becoming more popular – the scattered ashes leave not so much as a headstone in remembrance of deaths awesome reality. A few months ago, Time magazine had an article on a funeral in a Roman Catholic church in which the priest was dressed in festive, mod vestments and a clown skipped around tying balloons to the coffin. There is no reason to be shocked; this is merely the reflection of our self-centered, pleasure-seeking, American life-style. The lack of seriousness which characterizes todays society penetrates even unto death. How does all this affect our attitude toward the dying? Alas, our society is so consumed with its passion for youth, physical fitness, beauty, that even the proximity of death is uncomfortable and to be avoided. The aged and infirm are bothersome, inconvenient; they are moved out of their own environments and into nursing homes and hospitals where they are monitored by machines. Sometimes excessive sedation causes them to be socially non-functional. The dying patient, as an individual human being, can easily become unimportant, irrelevant and very lonely. What can be done to help the dying? First, we must recognize that they are Gods creation; they possess immortal souls and they should be important to us. We should talk to them with honesty and compassion, avoiding platitudes and fakery. Life has become very abnormal. We ourselves partake of this immature, self-indulgent, pleasure-seeking society. If we could make more of an effort to regain even a small degree of normalcy, of truth, to calm and soften our hearts, this would be of great help in trying to minister to the dying. It is also important that the dying be reassured that family and physician are committed to working with them through the entire course of their ordeal. The dying need companionship and, if at all possible, familiar surroundings. To die at home is ideal. It cannot be that bad; they convince themselves that God or a famous doctor or new research will cure them. Serious discussion of their condition may be resisted. Conversation steers clear of the unpleasant reality and often centers on meaningless trivia – the weather, hospital food, TV programs, etc. The family – and even the physician – will often support such denial, often because they themselves cannot accept it. At this stage one should try to discuss realistic plans for the future, decisions that need to be made. One must, however, be very sensitive and gentle. Speaking with the dying honestly, with patience and compassion is very important, especially at this initial stage. Unfortunately, many people persist in this state of denial until their very death, thus losing precious opportunities for loving closeness with their families as well as for spiritual growth. A second phase is often characterized by anger: Why did it have to happen to me? Why can so-and-so enjoy a good life and I have to die? There is anger at having ones self-centered fantasy world suddenly and unpleasantly disrupted. They dying person sometimes feels anger toward God; he feels cheated; God obviously does not love him; he feels envy toward others. This phase can also be shared by the family which can become very demanding on the doctors and health-care professionals involved. At this stage, the family may begin to feel resentment toward the dying; they become irritated by his demands, by the interference which the ordeal has caused in their lives. They begin rationalizing: After all, we must lead our own lives; Why cant the doctors do anything? At the same time they feel guilty for having such feelings. It is clear that anyone wishing to help cannot get caught up in this kind of negative interaction. One must respond not in kind, but with persistent and consistent love. Another common reaction found among the dying is one of bargaining – making promises to God in exchange for certain concessions or a reprieve. Such petitions can be of value if accompanied by heartfelt repentance. And God answers those prayers which are unto salvation. This is illustrated by the Old Testament account of King Hezekiah. If it is Gods will, however, that death take its course, the patient becomes very weak, thin, and a sense of loss may set in – loss of physical identity, loss of identity as the breadwinner of the family, perhaps; financial loss. This sense of loss is often accompanied by depression. The dying begin to grieve, preparing to meet their death. The way in which a person responds to death is very individual and largely dependent on his philosophy of life, on what he values. Someone who puts his trust in financial security or physical health will be very depressed if faced with a terminal illness. Imagine the depression of those who put their trust in science, or those who believe that happiness can only be found in this temporal world, that death is a closed door rather than the threshold of another world. As Orthodox Christians we have no reason to be depressed at the thought of death. This is not to say that we should have no fear of death – this feeling is natural since death introduces us to the unknown. Furthermore, a certain fear of death is very healthy spiritually, as the Holy Fathers teach us, and should lead to repentance and inward vigilance. In the Holy Scriptures we read: “In all you do, remember the end of your life, and then you will never sin” (Sirach 7:36). The fear of death comes not only from the advent of the unknown, but also in knowing that death is a point when all opportunity for repentance and struggle is over; the time of reckoning is at hand. Even the ancient desert father, St. Sisoes, as he lay dying, prayed to live longer, saying that he needed more time to repent; that truly, he did not know whether he had yet begun to repent. If these were the thoughts of a holy man, how much more should we sinners struggle to prepare ourselves to meet the Just Judge Who, sonner or later, awaits us all? The time before death is very much like the time before Holy Communion. We prepare for this Sacrament by increasing our prayers, by inward concentration and soul-searching repentance, by removing ourselves as much as possible from the ways of the world. In all of this we are guided by the prayers of the Church through which we call to God to give us the sense to weep bitterly over our sins; we recognize our hardheartedness, our lack of tears and our many passions; we acknowledge that we waste too much time thinking of our earthly welfare and that we are unworthy of heaven, of earth, and even of this transient life; we ask forgiveness of one another and try to make peace with our conscience. When faced with the imminent possibility of death, a Christian is struck with a sense of urgency. He develops a sharper focus for what is of lasting value; he tries to make maximum use of the precious time left to him for repentance and amendment. Should we not live every day as though it were our last? The Holy Fathers consider the ability to do so a great virtue. We must remember that death comes not only to the old and infirm, but also to the young and robust. Death comes as a thief in the night. 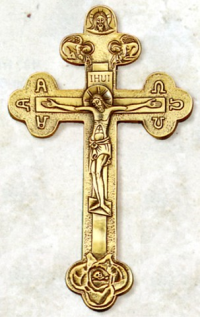 If we view death soberly, with the understanding that at any time we may be called out of this world, we will be better able to fight our passions, to have a truer perspective on what is really important in life, and to conduct that intense struggle to change ourselves into the image of God – which is the focus of any Orthodox life. Thus, with Gods grace, we will not be thrown into despair when our earthly sojourn comes to an end, but we will be able to depart this life in peace, anticipating with firm hope and faith that heavenly homeland for which we were created.